Natural gas is transported across the country in a series of pipelines. 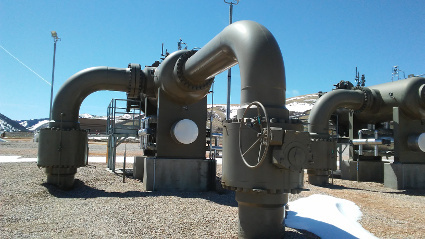 Each pipeline has multiple compressor stations at different distance intervals. 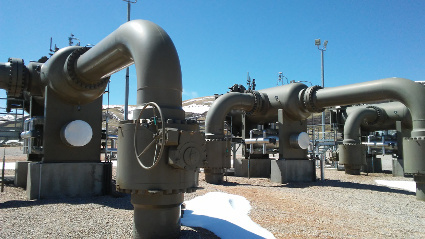 A major concern when dealing with natural gas transmission is condensate in the lines. The compressors can only compress gas and the ingestion of liquid can cause damage resulting in thousands of dollars in damage. When gas leaves the compressor it is at its highest velocity and in mostly a pure gas state. Over the course of the journey to the next compressor station some of the gas condenses into liquid form. It is crucial this liquid not make it to the next compressor or damage will occur. Just upstream of each compressor station is a small tank known as a knockout pot. These knockout pots are located beneath the pipeline and are intended to catch the liquid condensate. The condensate by virtue of the fact that it is getting to the next compressor station is at its lowest velocity and drops into the condensate knockout pot. 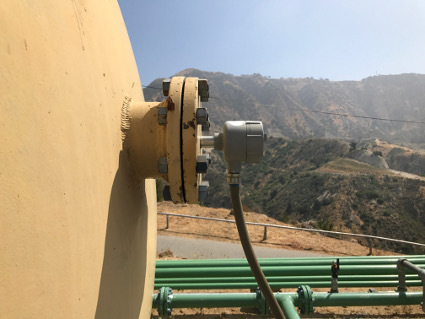 Once condensate starts to collect in these tanks it must be periodically drained off or it will eventually spill back into the pipeline and damage the compressor. Years ago, it was necessary for a worker to check each knockout pot daily and manually drain as needed. Today, the automated solution is to use a Babbitt LS7000 Level Switch. The LS7000 reliably measures the low conductivity natural gas condensate and typically actuates a solenoid that in turn opens a valve and drains the tank. By automating this procedure, personnel are able to visit a site less frequently. As a result, a significant cost reduction is realized in these cases. 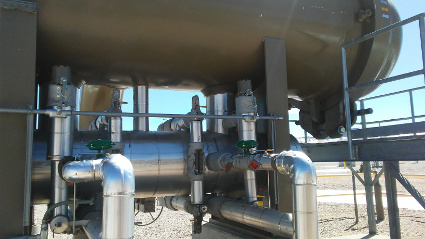 Babbitt International has hundreds of these sensors monitoring condensate pots all across the country. Depending upon the site, gas powered compressors are either driven by conventional piston engines or by gas turbine units. In either case, lube oil is often stored on site in storage tanks. Babbitt Magnetic Level Indicators provide personnel with easy to read visual level indication as the red flippers can be seen up to 50 feet away. 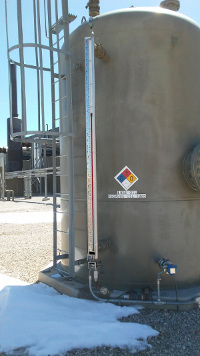 An optional LT1 or LTM transmitter can be side mounted to the Magnetic Level Indicator, allowing site personnel to monitor tank level via a display, PLC or DCS. One of the key operations in oil production is the separation of oil from water. Water is typically pumped back down the well and the oil is sent further downstream to be refined. When it comes to oil/water separation, in a perfect world, there are two distinct layers, oil and water. However, there is often a third layer between the oil and water, commonly referred to as an emulsion or rag layer. This emulsion/rag layer is a mixture of both oil and water. Some processes may want to consider this layer oil, while others may want to consider this layer water. In either case, having a HALAR coated probe will allow the user to make this distinction. Either a Babbitt LS7000 or an LS8000 level switch can be used for oil/water interface detection. A common process in Oil & Gas is the removal of contaminants by way of a scrubber. 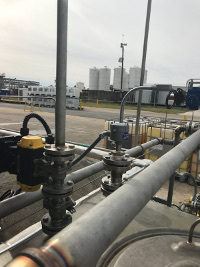 Depending upon the specifics of the process, either a wet or dry scrubber can be used to recover valuable liquids from gas or to protect downstream rotating equipment. In both cases, contaminants are filtered and collected for further processing or disposal. Managing the level of these contaminants is essential. 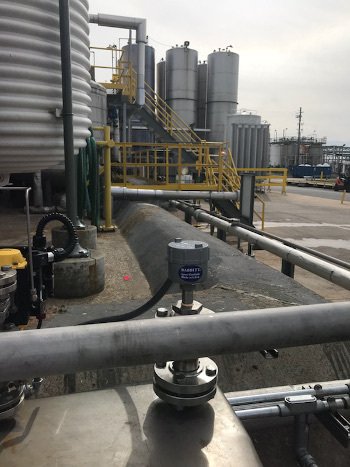 Depending upon whether the user prefers continuous level measurement or alarms, Babbitt has solutions ranging from Point Level Switches, Ultrasonics or Radars to Magnetostrictive transmitters.